“When I went to Improve Credit, I had 4 credit cards, phone bill, hospital bill, and a voluntary repossession all in collections. My credit score was ridiculously low and I had creditors constantly harassing me on a daily basis. I was reluctant at first because I thought that I would never be able to pay off all of these debts. Meeting Wanda Acevedo was like a breath of fresh air because she was encouraging and thoroughly explained the steps I needed to perform to pay off my debt and increase my credit score. She was there not only as a counselor, but also as a confidant. I have also recommended Improve Credit to several of my friends who were also very please with the customer service and professionalism that they received. I will continue recommending her to my friends and family. Thanks again Wanda! Faye Schultz owner of Mrs. Lacy’s Magnolia House. "I really appreciate what you have done for me. I had no idea how a credit report worked or how to improve it. Improve credit, not only showed me the workings of a credit report, they also showed me how to fix it and keep it fixed. Now I am diligent with my payments, along with making sure my credit cards are where they need to be. Once again, thanks Mrs Wanda." 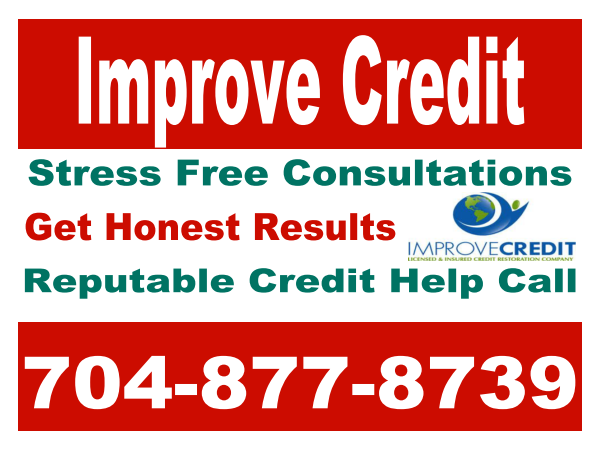 "I am very satisfied and overjoyed with my experience with Improve Credit. I started my credit repair process with hopes that my credit would improve, and in a matter of 30-days my credit report was improved and my credit scores increase a total of 317 points within 30 days! I couldn't be happier with the results." Thankyou so much Improve Credit! "At first I was scared and nervous about trusting someone with all my personal information. I was lost in trying to repair my credit so I found Wanda and she took care of all my credit problems. It wasn't easy calling creditors but she worked hard to reach them one by one. I am 100% happy with her services. Now I feel an inner peace within myself." "Just wanted to let you know that I am extremely happy with the results I have seen with your company, and more importantly the FAST results I got...it took only 30 days and my credit was completely restored.! Amazing ! Thanks Wanda, it was nice doing business with you !" "Thanks, Wanda, you are helping me and educating me at the same time. I sincerely doubt that I would be able to clear up my credit issues with such speed without your expert guidance. I am so thankful I was able to find your company when I did." "The experience I had with Wanda at improve credit was first class, she was very nice but also very professional and prompt. Improve credit raised my combined big 3 credit scores over 60 points in a little over 3 months. I will continue to use her services and will recommend all my friends to her." "I have full Confidence in Improve Credit. Our scores increased dramatically. Also our debt is elimnated and we are looking forward to purchasing a new home soon." Copyright © 2011,Improve Credit Consulting Firm, Improve Credit LLC, Licensed in the State of North Carolina. All rights reserved.